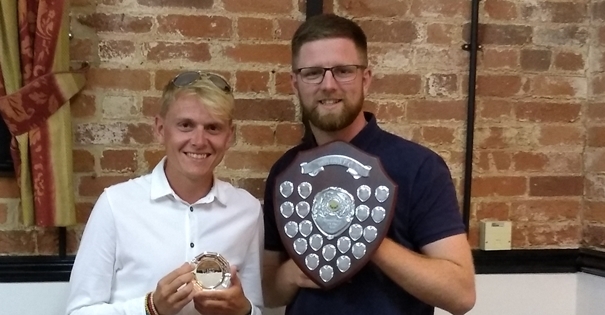 After nine goals in 21 games in his debut season Max chose to revert back to goalkeeper, a position he had played to a good standard as a youth and it proved to be an inspired decision as he picked up the Players' Player Award. Max played 18 times for the first team and supported the Reserves on a further two occasions, always performing at a consistently high level and providing an intimidating figure behind his backline. On numerous occasions Max has made superb saves that have not only kept Playford in matches but have helped guarantee three points. He made two penalty saves this season, one against Rushmere Lions for the First Team and another for the Reserves against Claydon. In the latter match he went to record a clean sheet too. He added two clean sheets for the Firsts, in back-to-back matches against Laxfield. He has claimed three assists this season too, for Nick against Walton, forcing an Own Goal by Martlesham Old Boys and for Rene Swann against Laxfield. It is quite rare that a defensive player picks up this award but four man of the match awards give an idea of the strength of Max's first season as Playford's number one.